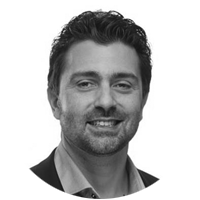 Rui Frazao is the CTO and Head of European Operations at B-Yond. Prior to B-Yond, Rui was CTO of Vasona Networks, an innovative provider of Multi-Access Edge Computing (MEC) solutions, acquired by ZephyrTel (2018). He also previously held various Group technology positions during his 15 years at Vodafone including serving as the Director of Network Engineering overseeing network activities across Germany, the Netherlands, Hungary and the Czech Republic. Rui is originally from Portugal and represented his country at the Olympics in Fencing. He’s based in Düsseldorf where he has been living for over a decade with his family.